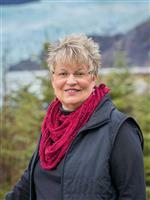 For those who are searching for real estate in the Auke Bay area of Juneau, you are sure to find a number of different homes to accommodate what it is that you desire in a new home. If you enlist my help, I can help to simplify the process and help you find a home in the shortest amount of time possible. Located around the beautiful Auke Bay Harbor about 12 miles from downtown Juneau, Auke Bay has an elementary school, waffle house, convenience store, Thai restaurant and the seasonal Hot Bite restaurant if you are searching for somewhere to hang out with friends and family. The view of the Mendenhall Glacier that stands behind the bay is absolutely amazing, so make sure to check it out. Enjoy looking at Auke Lake and taking some of the best photos in the area. Beautiful scenery abounds in the Auke Bay area. The University of Alaska Southeast is also located in Auke Bay. Many people will have a great time embarking on an adventure with charter fishing and whale watching charters from the Auke Bay boat harbor. You will be able to catch some fish and explore the scenery all around you on these amazing excursions. Take the family and head out for one of their sightseeing tours to experience Alaska on the water. So if you're looking for a home in this area, contact me and I can arrange to show you what is available.